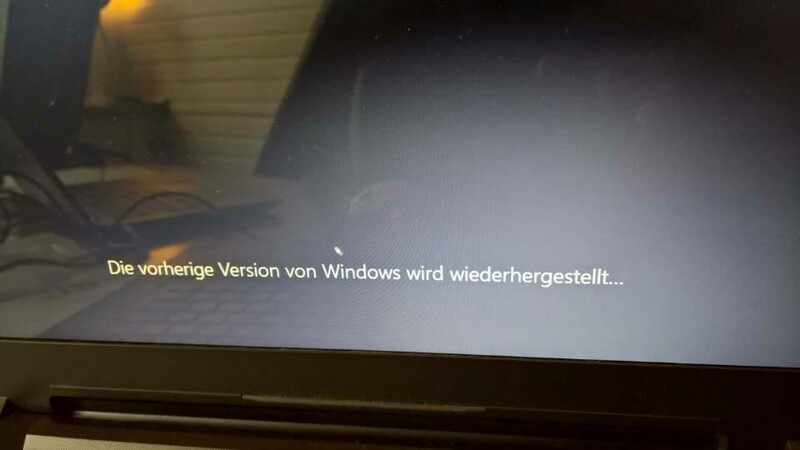 Last Saturday I installed the new Windows 10 version on my computers at home. The new version (Redstone 2) is 1703 and Microsoft called it „Creators Update“, because they focused on creative people and putting 3D and mixed reality into Windows 10. The official rollout will start April 11th and the update will be installed automatically some days or weeks later. 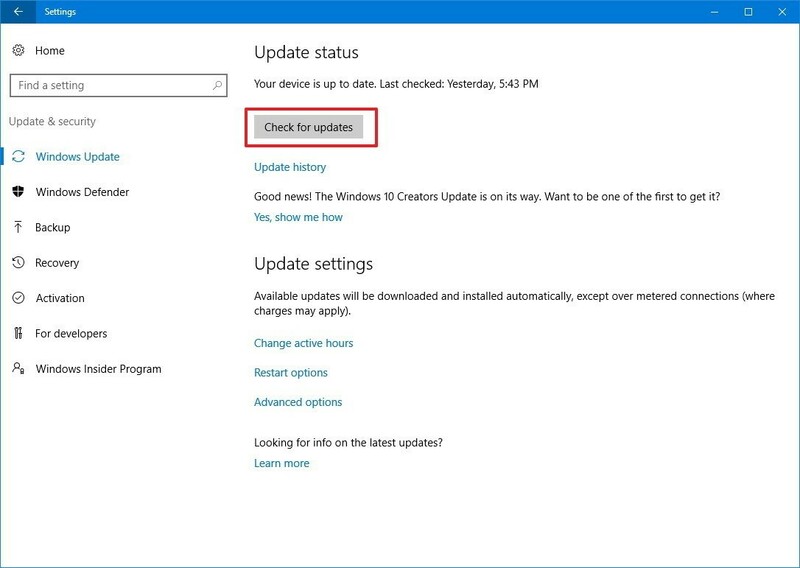 Because Microsoft does not rollout the update to all devices at once, it depends on your location and model. Maybe you can trigger it by checking manually for new updates. 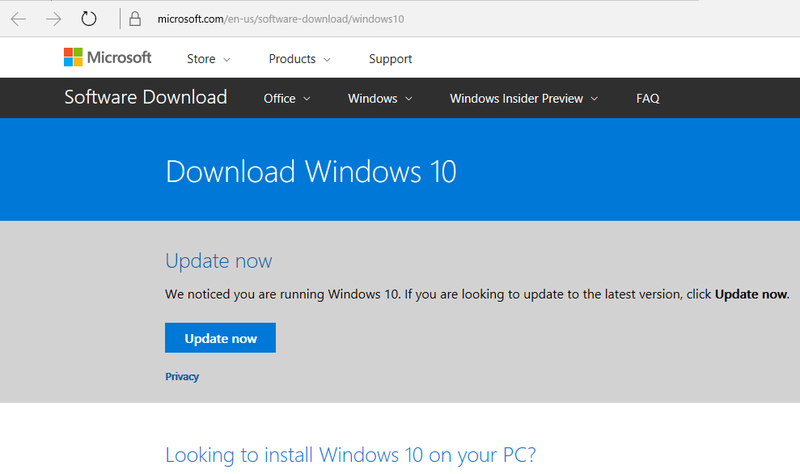 If you do not want to wait, you can download the update tool from the Microsoft website. Just click on „update now“, download the tool and start it. 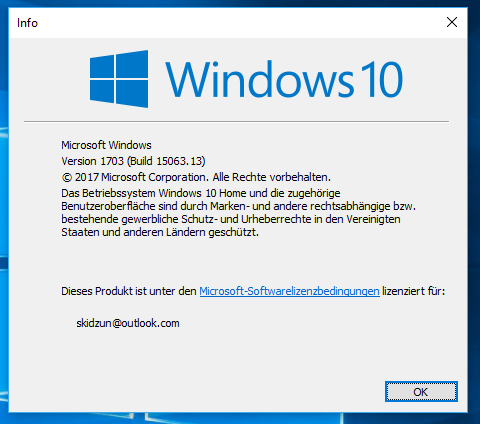 I used the Windows10Upgrade program for four PCs. At least it was successfully, but I had some troubles on the way. 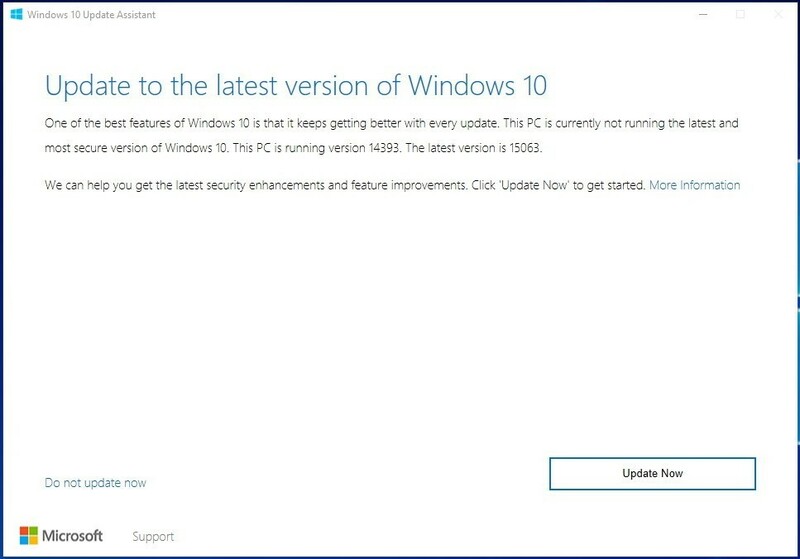 My first computer failed installing the update and rolled back to the previous version. Nothing bad happened – I was only a little bit disappointed, because the first computer failed. I tried some research, but I did not find any hint why it failed. So, I started it a second time and it ended successfully. One of the computers failed to download the binaries. A simple restart of the tool fixed this error. For such big Microsoft update it was a successful day. If you had some other problems with the update the following article might be helpful. The update itself has some nice new features, if you are interested in creative work. But from my point of view some very nice features were canceled, e.g. 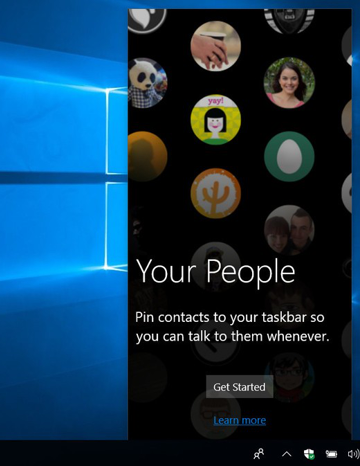 the „My People“-feature. Hopefully it will come with Redstone 3 in autumn. 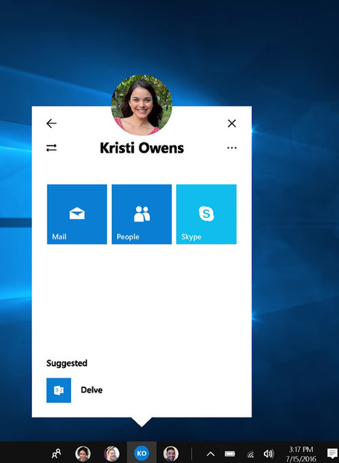 I miss also the OneDrive placeholders. In the first versions of One Drive you were also able to browse through folders that are not synced with your computer. Files that were only available online had a different icon, so that it was easy to see which files were offline available and which files need an internet connection to work with them. So, which changes are in Redstone 2? 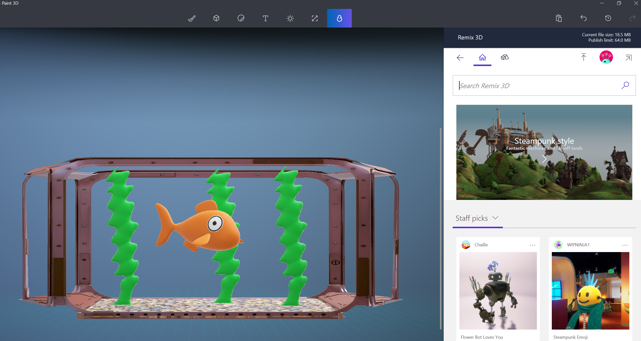 You can now create 3D-paintings. The browser has some nice new features. E.g. a quick view for all pages that are open in your browser. 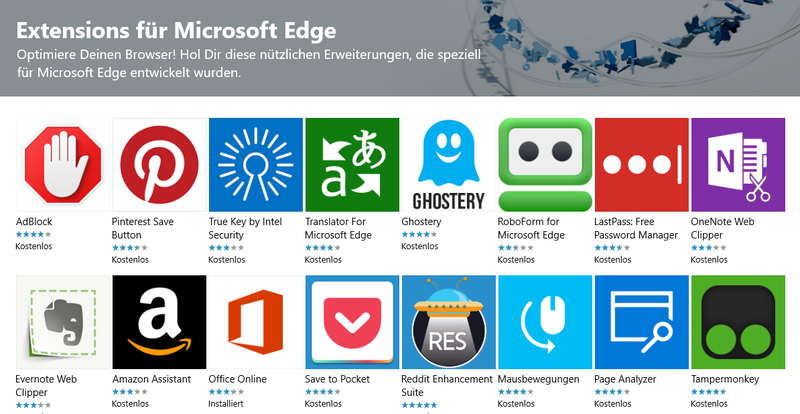 And you can now install extension for Edge like a Pinterest Save button or Amazon assistant (you find them in the Microsoft store). 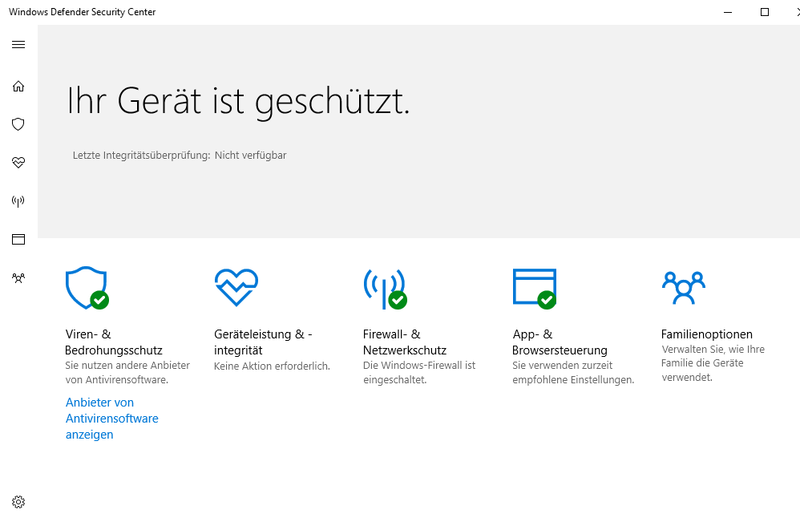 … and some settings moved from the old control panel into the new windows settings page and many other things were changed or improved. For my work (private or company) the update has not so many interesting changes. It is nice and you should install it but do not expect too much, if you are not a creator. Additional information can be found in the Windows blog.